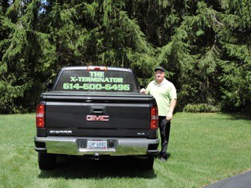 Our family owned company, The X-Terminator, strives to provide personalized, affordable pest control to you. With more than six years experience working for one of the largest Pest Control companies in the world, I have acquired a vast amount of experience in the field. I am fully licensed in all areas of pest control, including general pests, bed bugs and termites. Just as each property and family is different, so are your pest control needs. I believe in formulating an individualized pest management plan that will take into account the type and severity of the pest, and balance those needs with an affordable plan that makes sense for you. As a family-owned company, I, personally, respond to each customer inquiry or call within 24 hours. Please feel free to check out our reviews on Angie’s List and on our Facebook page, The X-Terminator. I hope that you will consider The X-Terminator for all you pest control needs.